2015 greetings to all and hereâ€™s to a healthy, happy and laterally travelled year! I am often asked - â€œSo what is your favourite Country?â€ Itâ€™s quite simple really - BRAZIL!! To me it has everything. Rio (the most beautiful city in the world) - Iguazu Falls (the most spectacular falls) - the Pantanal wet lands - the Amazon - the Beaches - the people - the weather - the Music and finally the national drink - A Capirinha!! Whether a winter escape, a summer holiday or a longer Sabbatical trip, below will give you a flavour of what I enjoyed. 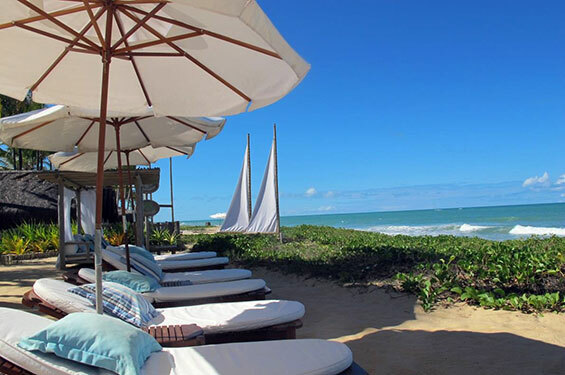 This is truly the number one beach hotel in Trancoso, lovingly run and managed by its owner Galen and his attentive staff. 10 luxury Villas and one outrageous suite are set within the most enchanting tropical gardens. The Pool abuts the bar and dining room and is a great spot to relax around in the early evening or for dinner under the stars. 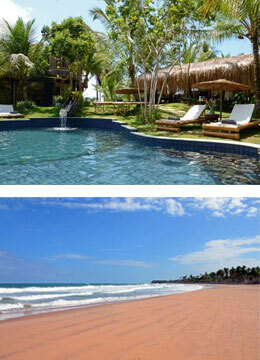 The beach, which stretches for miles and miles in either direction, is just a 30 metre walk away from the pool. 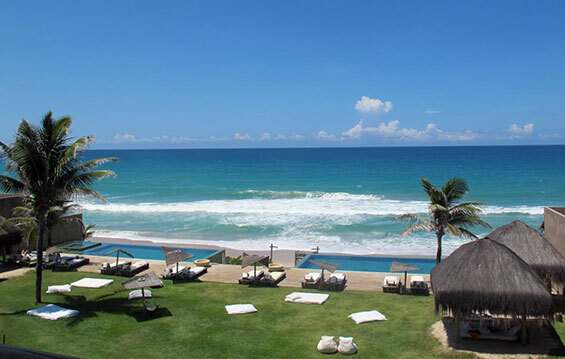 The resort has a stylish beach bar, sun beds and exercise equipment for those preferring an ocean view to gaze at. Itâ€™s simply heaven on a beach! Heading North from Trancoso after a dayâ€™s scenic coastal driving, 2 short boat trips and 1 night in Pousada Aldeia da Mata, you arrive on the MaraÃº Peninsula, 250 km south of Salvador. The Peninsula is totally unspoilt so finding a gem like the Butterfly House to stay at is just what the doctor ordered after a dose of Brazilian roads! Accommodation and food is both stylish and delicious and the beach just goes on for ever. The activities are numerous - snorkelling, diving, amazing boat trips/waterfalls, bike riding, surfing, nature trails and paddle boarding to name but a few. 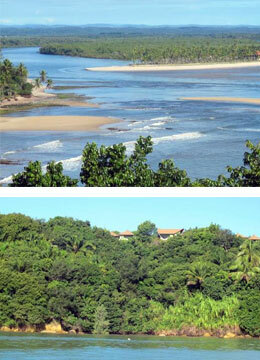 I adored this hotel and the magnificent MaraÃº Peninsula - one could easily spend a week here. Heading north from Butterfly House again by boat, car and then boat, you will reach on the same day the island of Boipeba. Here after a refreshing cold beer, some local oysters and a few spicy prawns, you stroll along the beach, then board a small cable car cabin and arrive at the charming Pousada Mangabeiras. The views from the rooms are simply breath-taking whether it be dawn, day time or sunset. Miles of beaches, boat trips to anchor up on floating bars serving fresh oysters that are plucked from the ropes dangling below, forest trails and horse riding are just some of the day time activities available. 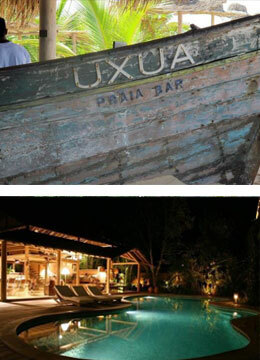 Another perfect pit stop on your journey from Trancoso to Salvador. Leaving Boipeba Island firstly by boat and then road you will later that day reach what was the famous Brazil capital, Salvador. This hotel was built in 1586 by the First Order of Carmelite Friars. 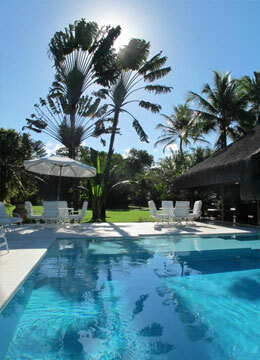 It is situated in the quieter area of the famous Pelourinho district. This area is inundated with old Portuguese churches, cobbled streets, museums and breath-taking architecture as well as great local restaurants serving tasty Bahian food and noisy bars. As the hotel has a decent sized pool and garden area, it would be my first choice for families. Most the places worth visiting are just a 10 minute walk at most from the hotel. 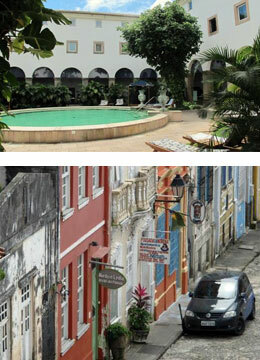 This hotel and city are perfect to start or end your journey from Trancoso to Salvador or viceversa. In March last year as I journeyed south from Recife/Olinda, I came across this gem of a beach hotel. Everything here is just perfect - staff, food, architecture, proximity to the immense beach, rooms on the ocean and exquisitely designed infinity pools. Whether it is a one week Kenoa only winter escape or part of a journey, I promise that you will never forget this treat! Copyright Â© 2015 laterallife, All rights reserved.